(CNS): Following the revelation that the person given as the contact for the summer jobs programme was on leave last week, the premier’s ministry have submitted new details regarding the initiative. The Summer Students’ Employment Programfrom the Ministry of Finance, Tourism and Development was designed to give young students work over the next two months, but when a number of parents and young people made an effort to contact the ministry about the programme, they were told the person was on leave and would not return for another week. “We would like to inform the public that while the Chief HR Officer is currently away on official business and returning to office on Thursday, 14th July, all emails which have been sent to her email address are being responded to by Ministry HR staff,” a spokesperson for the ministry said on Friday afternoon. The ministry also said the inquiries can be sent to MOFTDcareers@gov.ky for more details on the programme and for a copy of the application form. The work is available to students from Year 10 and above as well as those in college or university, both locally and overseas. A release from the Premier’s Office on Thursday morning said students would be placed within various government agencies for the two-month summer holiday period to provide them with paid employment. “Government is delighted to be able to assist students with employment over the summer and, in return, will receive valuable service from the future leaders of these Islands,” McKeeva Bush stated. 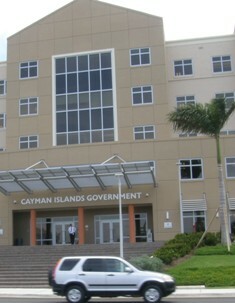 This government is nothing but stupid and inefficient,what sort of Government turns down permits and places in college to young people who want to learn ,should not matter whether they are Caymanian or not ,if someone is willing to pay thousands of dollars to do a course surely its discrimination to turn and say its for “Caymanians only” and the real stupid thing is ,if the said “Caymanians turn round and don’t start or drop out of the course ……these valuable places will not be offered to a NON-CAYMANIAN who is willing and eager to do the said courses,the whole course will be dropped ……..ONLY IN CAYMAN !!!!!! I am just going to take a shot in the dark with your comment. You are a med student who couldn't get into anywhere in the United States. Therefore you came down here to take medicine, only to be rejected your student permit. Go Figure, a Government Employee on Leave. Paid I assume. You have attached a Summer Intern Application Form; however I would like to apply for the positions of Premier and Chief of Human Resources.